SEASIDE, Calif., April 8, 2019 – California State University, Monterey Bay (CSUMB) is slated to host the 23rd annual Social Justice Colloquium beginning April 8 and concluding April 18, 2019. The keynote event, taking place Wednesday, April 17 at CSUMB’s World Theater will feature internationally-acclaimed Iranian film director Rakhshan Banietemad. 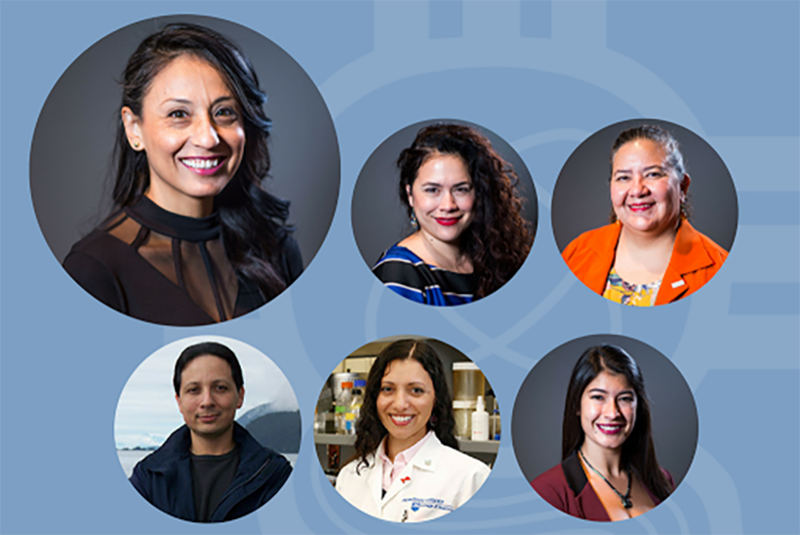 SEASIDE, Ca., March 29, 2019 -- California Sea Grant has selected 23 recipients—the largest cohort yet—for its prestigious State Fellowship. This opportunity provides fellows with unparalleled and hands-on training at the interface of science, communication, policy and management at either a municipal, state or federal host agency in California for one year. SEASIDE, Ca., March 28, 2019 – A special collaboration between the Monterey Jazz Festival (MJF) and California State University, Monterey Bay (CSUMB) brings the 2019 Monterey Jazz Festival Artists-in-Residence Allison Miller and Derrick Hodge to CSUMB’s World Theater on Thursday, April 4, 2019 at 8 p.m.
SEASIDE, Ca., March 6, 2019 – California State University, Monterey Bay (CSUMB) will host the 17th Ethics and Responsible Business Forum Wednesday, March 13, 2019 from 3-5 p.m. at CSUMB’s University Center. The Ethics and Responsible Business Forum is designed for students, professionals and community members to discuss and debate the ethical dilemmas associated with contemporary developments in society. SEASIDE, Calif., March 4, 2019– California State University, Monterey Bay’s (CSUMB) Institute for Innovation and Economic Development (iiED) is set to host the 10th annual Startup Challenge Monterey Bay this spring. SEASIDE, Ca., March 1, 2019 – The American Institute of Architects, California (AIACA) announced the winners of the eighth annual Architecture at Zero competition for zero net energy (ZNE) today at CSUMB's Alumni and Visitor Center. The competition was open for entries from students and professionals worldwide. SEASIDE, Ca., February 25, 2019 – An international team of researchers, that includes CSUMB School of Natural Sciences assistant professor Nathaniel Jue, has published a major scientific step to understanding the biology of the great white shark, and how it’s genetic makeup may be useful in treatment of human conditions. SEASIDE, Ca., February 15, 2019 – California State University, Monterey Bay (CSUMB’s) Communication Across the Disciplines program has been awarded a National Endowment for the Humanities (NEH) grant that will help improve reading and writing instruction across all majors at CSUMB. ​SEASIDE, Calif., Feb. 7, 2019 – By 2023, the California State University's 23 campuses will be eliminating the use and sale of all single-use plastics including plastic straws, water bottles and bags. SEASIDE, Calif., Feb. 4, 2019 – California State University, Monterey Bay’s (CSUMB) Otter Student Union will host the “All Black Gala” Sunday, February 10 from 6-10 p.m. at CSUMB’s University Center featuring keynote speaker Michael Brown Sr.
SEASIDE, Ca., January 28, 2019 -- Thirteen high schools from Northern and Central California are set to compete in the regional component of the National Ocean Sciences Bowl at California State University, Monterey Bay (CSUMB) on Saturday, February 2, 2019. SEASIDE, Ca., January 15, 2019 – For the seventh consecutive year, California State University, Monterey Bay (CSUMB) is set to host Startup Weekend Monterey Bay January 25-27, 2019. SEASIDE, Ca., January 11, 2019 – California State University, Monterey Bay (CSUMB) and the Monterey Bay Ecotourism Region (MBETR) initiative hosted the 2nd Monterey Bay Sustainable Hospitality Summit January 10-11, 2019 at the Portola Hotel and Spa in Monterey. SEASIDE, Ca., December 14, 2018 – A study conducted by California State University, Monterey Bay (CSUMB) School of Natural Sciences assistant professor John Olson has found that the combined effects of land use and climate change are resulting in increased salinity levels in rivers and streams, further highlighting an emerging threat to freshwater resources, biodiversity and ecosystem functions across the United States. SEASIDE, Ca., November 21, 2018 – A collaborative project between California State University Monterey Bay (CSUMB) and Hartnell College has been selected to receive funding under the U.S. Department of Education’s Developing Hispanic-Serving Institutions Program (Title V) in the amount of $3,750,000. SEASIDE, Ca., November 8, 2018 – California State University, Monterey Bay’s (CSUMB) Master of Science Physician Assistant (MSPA) program welcomed it’s inaugural class of 33 students to campus for orientation from November 5-8, 2018 at CSUMB. SEASIDE, Ca., November 8, 2018 – California State University, Monterey Bay’s (CSUMB) International Programs will host a series of cultural events ranging from diversity marches, performances and film screenings November 13-15, 2018 in celebration of International Education Week. The featured event is a keynote address from Emmy Award-winning broadcast journalist Anisa Mehdi. SEASIDE, Ca., October 31, 2018 – California State University, Monterey Bay’s (CSUMB) Salinas Center For Arts and Culture will celebrate it’s first anniversary with a series of Dias de Muertos related events on Friday, November 2, 2018. SEASIDE, Ca., October 4, 2018 – California State University, Monterey Bay (CSUMB) hosted the 2018 Greater Vision Forum Wednesday, October 3, 2018 at CSUMB’s University Center. Greater Vision is a collaborative event with the Grower-Shipper Association Foundation designed for students, professionals and community members that addresses contemporary issues in agriculture and society. SEASIDE, Ca., September 28, 2018 – California State University, Monterey Bay (CSUMB) has partnered with the San Francisco based smart mobility company, Lime, to bring dock free electric scooters to campus. Lime representatives held a pop-up demonstration at CSUMB Friday, September 28, 2018 to introduce the electric scooters and give demonstrations. SEASIDE, Calif., September 26, 2018 – California State University, Monterey Bay (CSUMB), Cabrillo College, Hartnell College and Monterey Peninsula College have formed the Monterey Bay College Pathways Partnership (MBCPP), a partnership aimed at improving time to degree and degree completion rates for inter-institutional transfer students in the Monterey Bay region. SEASIDE, Calif., September 20, 2018 – ​The California State University (CSU) “College Night” came to CSUMB’s University Center on September 19, 2018. The free event provided opportunities for local students, parents and educators to meet with representatives from each of the CSU’s 23 campuses. SEASIDE, Calif., September 11, 2018 – CSUMB senior Bryan Sierra-Rivera has been awarded the 2018 California State University (CSU) Trustees’ Award for Outstanding Achievement, the CSU’s highest recognition of student achievement. The 23 awardees, one from each campus in the CSU, were publicly recognized during the CSU Board of Trustees meeting in Long Beach on September 11, 2018. 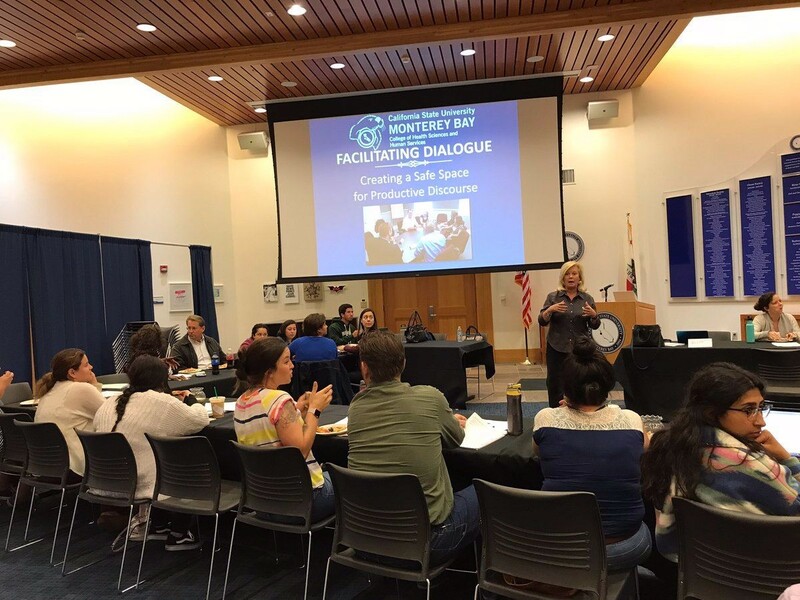 SEASIDE, Calif., August 23, 2018 – Hartnell College and California State University, Monterey Bay’s (CSUMB) joint Teacher Pathway Program has received a $335,000 grant from The Claire Giannini Fund that will help ensure the program’s continued growth and success. SEASIDE Calif., August 15, 2018 – The 5th annual summer research symposium, which celebrated summer research conducted at numerous institutions around the Monterey Bay, was held at the Tanimura & Antle Family Memorial Library on Friday, August 10. SAN FRANCISCO, Calif. August 10, 2018 — Pacific Gas and Electric Company (PG&E) and the American Institute of Architects, California Council (AIACC) announced that the eighth annual Architecture at Zero competition for zero net energy (ZNE) building designs will be held at California State University, Monterey Bay (CSUMB) in 2019. SEASIDE, Ca., August 3, 2018 – California State University, Monterey Bay’s (CSUMB) Master of Science Physician Assistant (MSPA) program has been granted Accreditation-Provisional status by the Accreditation Review Commission on Education for The Physician Assistant, Inc. (ARC-PA). The MSPA program, which is approved for a class size of up to 33 students for the first three years, was also granted final approval by the WASC Senior College and University Commission as of July 25, 2018, officially clearing the program to begin January 7, 2019. SEASIDE, Ca., June 21, 2018 – California State University, Monterey Bay (CSUMB) President Eduardo M. Ochoa was awarded the Human Excellence in Education Award this week at the Hope Collaborative’s 2018 Human Excellence Awards Conference. The conference, held at Harvard University, recognized leaders of social mission organizations and celebrated the powerful leadership capacities of outstanding social entrepreneurs addressing mankind’s critical social mission issues. SEASIDE, Ca., June 18, 2018 – California State University, Monterey Bay (CSUMB) has officially welcomed Brian Corpening to serve as CSUMB’s new chief diversity officer as of June 18, 2018. Corpening, who has served as the assistant provost for diversity & community partnerships at the University of Oklahoma Health Sciences Center since 2006, will oversee CSUMB’s Office of Inclusive Excellence. SEASIDE, Calif., May 18, 2018 – With a record number 2,321 candidates for graduation, CSUMB began its 22nd annual commencement celebration Friday, May 18, 2018 with the first of three ceremonies spread out over two days. The College of Arts, Humanities and Social Sciences graduated today, May 18th while the College of Business, College of Health Sciences and Human Services, College of Education and College of Science are slated to commence Saturday, May 19th. SEASIDE, Calif., May 16, 2018 – Winners of the 2018 Startup Challenge Monterey Bay were selected by a panel of judges at CSUMB @ Salinas City Center May 12, 2018. The 25 finalists first pitched their business ideas in a 10-minute presentation to a panel of judges before a final “shark tank” style pitch competition determined the victors. SEASIDE, Ca., May 4, 2018 -- CSUMB President Eduardo M. Ochoa hosted a facilitated dialogue to discuss educational attainment with South Monterey County community members at the Salinas Valley Fairgrounds on Thursday, May 3 from 5:30-7:30 p.m.
SEASIDE, Calif., May 1, 2018 – California State University, Monterey Bay’s (CSUMB) Institute for Innovation and Economic Development (iiED) will host the 2018 Startup Challenge Finale Saturday, May 12, 2018 at CSUMB @ Salinas City Center. SEASIDE, Ca., April 24, 2018 – California State University, Monterey Bay (CSUMB) has received a $750,000 workforce development grant from Central California Alliance for Health to support CSUMB’s new Master of Science Physician Assistant (MSPA) program. SEASIDE, Ca., April 20, 2018 – California State University, Monterey Bay (CSUMB) has officially welcomed Leslie Williams to serve as the new associate vice president (AVP) for student affairs and dean of students. Williams, who served as the dean of students at the University of Northern Iowa (UNI) for the past 6 years, will be responsible for oversight of all student life at CSUMB. SEASIDE, Ca., April 16, 2018 – California State University, Monterey Bay (CSUMB) officially broke ground on construction of the new Otter Student Union today, April 16, 2018. 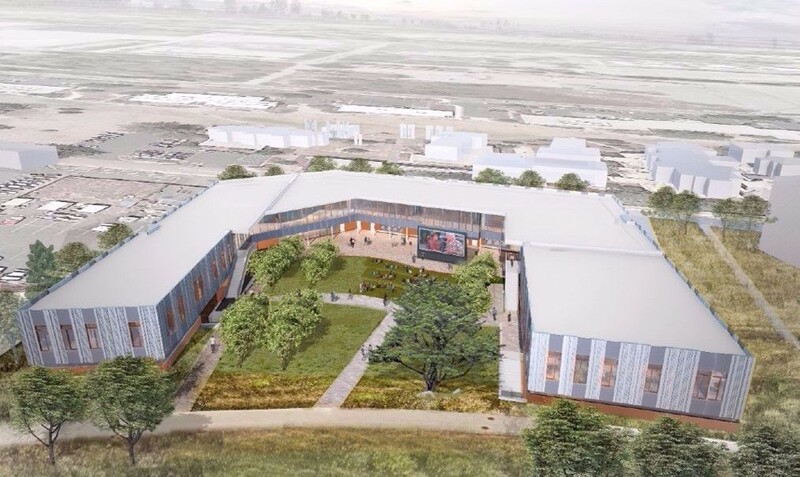 The Otter Student Union, expected to open in spring of 2020, continues to fulfill CSUMB’s campus vision for growth in our Comprehensive Master Plan. SEASIDE, Ca., March 29, 2018 -- CSUMB President Eduardo M. Ochoa hosted a facilitated dialogue at CSUMB at Salinas City Center on Wednesday, March 28, 2018 from 5:30-7 p.m. to discuss the issue of immigration in the United States. SEASIDE, Ca., March 20, 2018 – California State University, Monterey Bay (CSUMB) School of Natural Sciences associate professor Cheryl Logan has been awarded a 2018-19 U.S. Fulbright Scholarship to study coral thermal tolerance in the Galápagos Islands. SEASIDE, Ca., March 9, 2018 – California State University, Monterey Bay (CSUMB) is slated to host the 16th annual Ethics and Responsible Business Forum on Wednesday March 14, 2018 from 3-5 p.m. at CSUMB’s University Center Ballroom. SEASIDE, Ca., March 1, 2018 – California State University, Monterey Bay (CSUMB) is set to host the Startup Challenge again this spring for the ninth consecutive year. The Startup Challenge is a new business competition and accelerator program that supports the founding, funding and growth of new and innovative businesses in the Monterey Bay region. SEASIDE, Ca., February 26, 2018 – The National Academies of Sciences, Engineering, and Medicine recently appointed a new committee of 12 international experts tasked with investigating strategies to increase the resilience of coral reefs. California State University, Monterey Bay (CSUMB) School of Natural Sciences associate professor Cheryl Logan represents CSUMB on the committee. SEASIDE, Ca., February 20, 2018 – California State University (CSU) leaders, trustees, campus presidents and alumni will visit nearly 100 churches across the state Feb. 24-25 to encourage students to pursue higher education during CSU Super Sunday. SEASIDE, Ca., February 16, 2018 – A panel of experts hosted by California State University Council on Ocean Affairs, Science and Technology (COAST) will present to legislators about ocean issues and solutions for a sustainable future in Sacramento on Feb. 20, 2018. California State University Monterey Bay (CSUMB) School of Natural Sciences professor James Lindholm will be a featured expert. SEASIDE, Ca., February 14, 2018 – California State University, Monterey Bay’s (CSUMB) Institute for Innovation and Economic Development is slated to host a half-day symposium featuring women in agriculture, technology and agtech on Wednesday, Feb. 28, 2018 from 2-5 p.m..
SEASIDE, Ca., February 6, 2018 – California State University, Monterey Bay (CSUMB) and Monterey Jazz Festival have entered a new educational partnership that will launch a series of jazz education activites beginning March 5, 2018 at CSUMB. SEASIDE, Ca., February 1, 2018 – Eleven high schools from the Northern and Central California region will face off in the regional component of the 21st annual National Ocean Sciences Bowl (NOSB) at California State University, Monterey Bay (CSUMB) on Saturday, Feb. 3, 2018. SEASIDE, Ca., January 26, 2018 – A new exhibition, “LOST CHILDHOODS: Unofficial stories,” opens February 2, 2018 at the California State University, Monterey Bay (CSUMB) Salinas Center for Arts and Culture from 5-9 p.m.
SEASIDE, Ca., January 24, 2018 -- California State University, Monterey Bay (CSUMB) will host a panel of industry-leading shark researchers to discuss their approaches to studying California’s iconic marine predator Tuesday, January 30, 2018 at CSUMB’s World Theater. The event is open to the public and free for all to attend. SEASIDE, Ca., January 5, 2018 – CSUMB President Eduardo M. Ochoa has joined a collective effort of distinguished higher education leaders from across the nation to improve how colleges and universities address immigration-related matters affecting their campuses. SEASIDE, Ca., Dec. 6, 2017 – CSUMB School of Natural Sciences associate professor Corey Garza has been named to the national board of directors for the Society for Advancement of Chicanos/Hispanics & Native Americans in Science (SACNAS). 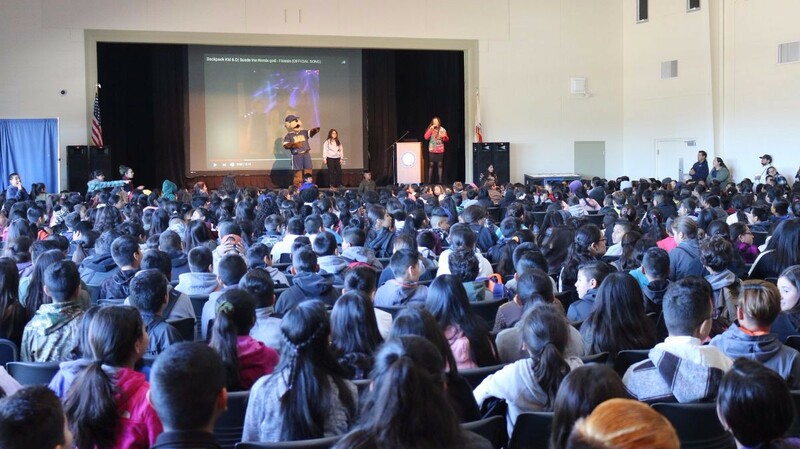 SEASIDE, Ca., Dec. 5, 2016 – Roughly 3,100 6th-graders will make a promise to attend college Dec. 5-9, 2017 as a part of the 8th annual University Promise program at CSUMB. The University Promise is a 5-day event intended to encourage students from the tri-county region to stay in school, graduate high school and attend college. SEASIDE, Ca., November 6, 2017 – California State University, Monterey Bay (CSUMB) officially breaks ground on the construction of Academic III at 11 a.m. today in a ceremony at the site of the new building. Academic III is slated to open in Fall of 2019 and continues to fulfill the CSUMB campus vision for growth in our Comprehensive Master Plan. SEASIDE, Ca., November 3, 2017 – California State University, Monterey Bay (CSUMB) is set to host the 6th annual Startup Hackathon weekend featuring more than 100 students from Monterey Peninsula College, Cabrillo College and CSUMB Nov. 3-5, 2017. 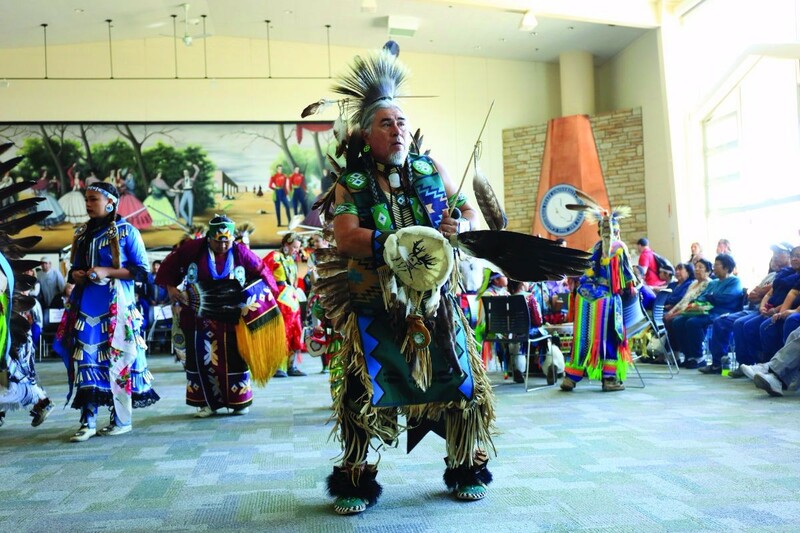 SEASIDE, Ca., Oct. 30, 2017 – California State University Monterey Bay’s (CSUMB) Native Advisory Council (NAC) will host the third annual Native American gathering at CSUMB on Saturday, Nov. 4, 2017. SEASIDE, Ca., Oct. 27, 2017 – California State University Monterey Bay (CSUMB) recently celebrated 20 years of annual giving from the Monterey Peninsula Foundation (MPF), amounting to a total of $7.6 million over 20 years. SEASIDE, Ca., Oct. 19, 2017 – CSUMB and Hartnell College will host aspiring behavioral health professionals at a day-long symposium at CSUMB’s University Center on Saturday, October 21, 2017. SEASIDE, Calif., October 16, 2017 -- CSUMB President Eduardo M. Ochoa hosted a panel of local health care experts at CSUMB on Monday October 16, 2017 from 5:30-7 p.m. for a facilitated dialogue on the issue of health care in the United States. (Sep. 21, 2017) – Beginning October 1, all 23 California State University (CSU) campuses will accept applications for admission to the fall 2018 term. Students interested in attending the CSU can apply online at the university’s new application portal: Cal State Apply. The priority application period will close on November 30, 2017. SEASIDE, Calif., September 21, 2017 – Students enrolled in the CSUMB-Hartnell South Monterey County Teacher Pathway Program will visit CSUMB’s University Center on Friday, September 22, 2017. SEASIDE, Calif., Sept. 19, 2017 – CSUMB alumna and current graduate student Anna Holder was awarded the 2017 CSU Trustees’ Award for Outstanding Achievement September 19, 2017 at the CSU Office of the Chancellor in Long Beach, Calif.
SEASIDE, Calif., September 18, 2017 – California State University Monterey Bay (CSUMB) has been selected to receive a U.S. Department of Education grant to continue the Ronald E. McNair Post-baccalaureate Achievement Program at the university. The grant, expected to last for a total of five years and amount to roughly $1.1 million, will support students from traditionally underserved backgrounds to reach their full academic potential. SEASIDE, Calif., September 7, 2017 – National and international innovators, policymakers and scientific researchers are slated to gather at the Greater Vision 2017 New Frontiers Water Forum on Friday, October 6, 2017 at the Embassy Suites Hotel in Seaside, CA., in an all-day event. SEASIDE, Calif., August 18, 2017 – California State University Monterey Bay (CSUMB) President Eduardo M. Ochoa has been announced as the 2017 Hispanic Engineer National Achievement Awards Corporation (HENAAC) Award Winner for Executive Excellence in Academia. SEASIDE, Calif., August 17, 2017 – California State University Monterey Bay (CSUMB) will begin welcoming students back to campus Friday, August 18, 2017. SEASIDE, Calif., August 10, 2017 – California State University Monterey Bay (CSUMB) and the Naval Postgraduate School (NPS) will co-host the 4th annual summer research symposium at the Tanimura & Antle Family Memorial Library on Friday, August 11, 2017 from 8:30 a.m. to 4 p.m.
SEASIDE, Calif., July 26, 2017 – Thousands of teachers will gather across California on July 28 for the third annual Better Together: California Teachers Summit, a free statewide day of learning and networking that is open to all California pre-K-12 teachers, teacher candidates and school administrators. SEASIDE, Calif., July 17, 2017 – California State University Monterey Bay (CSUMB) has received a grant from the W.M. Keck Foundation that will help modernize how biology is taught at CSUMB. SEASIDE, Calif., July 6, 2017 – CSUMB School of Natural Sciences associate professor Corey Garza has received the 2017 Inspiring Leaders in STEM Award from INSIGHT Into Diversity magazine, the largest and oldest diversity and inclusion publication in higher education. MONTEREY, Calif., June 27, 2017 – The U.S. Citizenship and Immigration Service (USCIS) will naturalize 150 immigrants at California State University Monterey Bay on July 3, 2017. SEASIDE, Calif., June 20, 2017 – Four CSUMB seniors have been selected as Sally Casanova Pre-Doctoral Scholars for the 2017-18 academic year. June 19, 2017 – California State University Chancellor Timothy P. White has issued a statement following the June 15 passage of California's state budget by both houses of the legislature. SEASIDE, Calif. June 15, 2017 – CSUMB is exposing local students to virtual reality technology through the University’s first-ever VR “Game Jam” event, scheduled the week of June 12-16 in the Gambord Business and Information Technology (BIT) Building. SEASIDE, Calif. June 6, 2017 -- The California State University has joined a coalition of over 1,400 cities, states, businesses and universities who are standing together to maintain U.S. leadership on climate change and clean energy. SEASIDE, Calif., June 2, 2017 – CSU Monterey Bay (CSUMB) has been selected to receive two federal grants under the U.S. Department of Education’s Upward Bound Program totaling $574,556. SEASIDE, Calif., May 31, 2017 – CSU Monterey Bay (CSUMB) is slated to receive a three-year, $270,000 mental health and substance abuse grant from the U.S. Department of Health and Human Services. SEASIDE, Calif., May 20, 2017 – With a record number 2,083 candidates for graduation, CSUMB celebrated its 21st annual commencement Saturday May 20, 2017 with two ceremonies at 10 a.m. and 3 p.m. Former Rep. Sam Farr brought a historical and nostalgic perspective to the ceremonies with his keynote address at the university he was pivotal in establishing more than 20 years ago. May 17, 2017 – Cinematic Arts and Technology student Briana Gonzales was named the 2017 winner of a $2,000 scholarship in the Monterey County Film Commission’s Director Emeritus Richard Tyler Film Student Scholarship Award Program. SEASIDE, Calif., May 15, 2017 – Monterey Peninsula College (MPC) and Cal State Monterey Bay (CSUMB) solidified a new pathway program Monday, May 15, 2017 allowing for dual enrollment between institutions for students seeking to complete a bachelor’s in business administration or marine science at CSUMB. SEASIDE, Calif., May 12, 2017 – Two CSUMB alumnae were members of the Wonder Women film crew who won the 2017 Daytime Emmy for Outstanding Travel and Adventure Program April 30, 2017. May 12, 2017 -- Munitions cleanup activities will begin in the northern portion of the Fort Ord National Monument in June 2017. The U.S. Army is hosting a public kickoff meeting on May 23, 2017 to share information about the cleanup and provide an opportunity for the public to ask questions. SEASIDE, Ca., May 12, 2017 -- Cal State University Monterey Bay’s 21st commencement ceremony will take place Saturday May 20, 2017 at Freeman Stadium with two separate ceremonies at 10 a.m. and 3 p.m.
SEASIDE, Calif., May 4, 2017 – Twenty-four local startups will compete for $50K in cash prizes at CSU Monterey Bay’s (CSUMB) Joel and Dena Gambord Business & Information Technology Building Friday May 12, 2017 at 3 p.m.
SEASIDE, Calif., May 2, 2017 – Six CSUMB students represented CSUMB at the 31st annual CSU Student Research Competition April 28-29, 2017 at Cal Poly, San Luis Obispo; two took home first place honors. SEASIDE, Calif., April 28, 2017 – 1,400 seventh-graders from seven Santa Cruz County middle schools attended the Santa Cruz County College Commitment (S4C) Friday, April 28, 2017.